Darqueze Dennard draws a controversial flag while defending Kenny Bell in the final 20 seconds. NEB: T.Martinez 17-205; A.Abdullah 22-110; J.Turner 1-minus-2. MSU: L.Bell 36-188; N.Hill 2-30; B.Fowler 3-14; A.Maxwell 2-6. NEB: K.Bell 5-31; Q.Enunwa 3-37; K.Reed 2-41; J.Turner 2-24; T.Marlowe 1-15; B.Cotton 1-6; J.Long 1-4; A.Abdullah 1-2. MSU: B.Fowler 3-28; K.Mumphery 2-15; T.Lippett 1-46; L.Thomas 1-17; D.Sims 1-10; A.Burbridge 1-7. Another Big Red Rally: Nebraska rallied from 10 points down in the final eight minutes to knock off Michigan State, 28-24, at Spartan Stadium. Junior quarterback Taylor Martinez lofted a heavenly pass to the left side of the end zone for sophomore wide receiver Jamal Turner from five yards out with six ticks left on the clock. 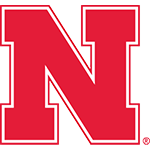 The touchdown capped NU’s third double-digit second-half comeback in four Big Ten victories. Jamal Turner scores with 6 seconds left. The breaks have a way of evening up, and they did once again late in the game. These Huskers make you crazy. They make you angry. They make you shout for joy. There was no warrior greater than Martinez, who is brave of heart and short of memory. Like so many times this fall, the Spartans left it too much to chance. When you stretch young men to their limits, strange things happen. We should know this about Martinez by now. The kid doesn’t panic. It was one for the ages – one that could define this season. 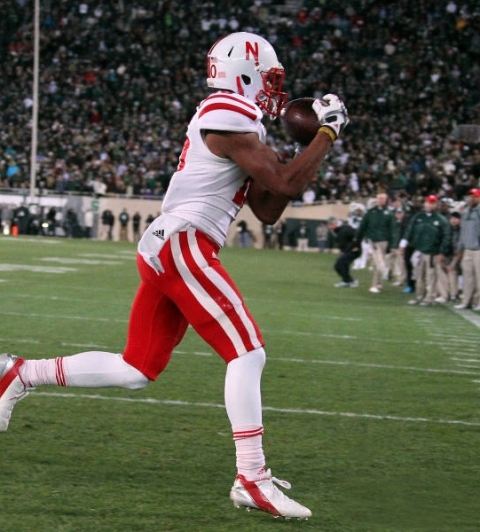 We’ve learned the past month not to expect the Huskers’ best until they absolutely need it. If you’re still wondering why Michigan State is stuck at .500 ... this game was full of answers. Spare me the nonsense about how the officials robbed them again. This was a true celebration, and [Jamal] Turner was right in the middle of it.